That project, code-named “Einstein,” may very well be related to the much-larger, ongoing and highly illegal National Security Agency (NSA) communications intercept program known as “Stellar Wind,” disclosed in 2005 by The New York Times. 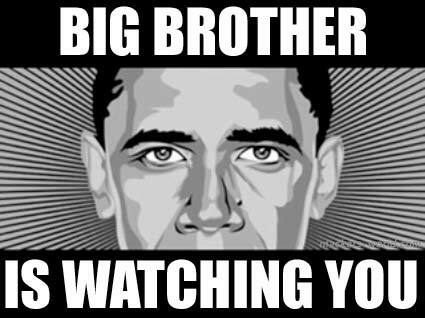 Ever wondered if ‘Big Brother’ is spying on you too? KUALA LUMPUR, Nov 18 — Forget Edward Snowden’s revelations on the US spy scandal, Malaysians who have always feared being watched too closely by their government should know their insecurities are not unfounded, a local cybersecurity expert and lawyer have warned. It is true that “Big Brother” is watching even in Malaysia, Akati Consulting founder and chief executive officer Krishna Rajagopal said, citing evidence he said clearly shows that the Malaysian government has been collecting and keeping the personal data of its citizens, or in other words, “spying”. “We have intelligence reports of data collecting servers that were placed in Malaysia and are still active in Malaysia, spying servers, Big Brother servers. Leaks of top secret documents by intelligence whistleblower Edward Snowden has exposed Singapore as a key “third party” providing five countries, including the United States and Australia, secret access to Malaysia’s communications data. This is done by way of Singapore intelligence tapping on the SEA-ME-WE-3 internet cable which runs from Japan to Singapore, Djibouti, Suez, and the Straits of Gibraltar to Northern Germany. SingTel, Singapore’s largest telco which has close relations to the government, allegedly facilitated providing access to the cable. Malaysia and Indonesia are said to be key targets for Australian and Singaporean intelligence. However, the news, which suggests that the state has the resources to spy on its own citizens, got little traction within the country. Revealed in August, the pageviews only snowballed recently, and even so, it garnered a weaker reaction than the entrance of extra-marital dating site Ashley Madison into Singapore, a move which sparked an outcry among conservative Singaporeans. Singapore's Minister for Foreign Affairs K Shanmugam has said the Republic does not come out "to confirm or deny" any reports on intelligence matters. He also said Indonesia and Malaysia know that Singapore would not do anything to harm their interests. His comments are the first by a Singapore leader on allegations that the Republic was helping Western nations spy on its neighbours. Singapore on Friday said it would not be drawn into confirming or denying allegations that it was part of a US-led electronic spying network in Asia. Foreign Minister K. Shanmugam said at a forum that neighbours Indonesia and Malaysia, which summoned Singapore's envoys this week over reports that such a network exists, are aware that the city-state has no intention to harm relations. "You cannot say, this is five percent true or 95 percent true, that we work with the Americans and Australians on this aspect of counter-terrorism but not this aspect," he said in comments carried by the Straits Times website. The comments were the first from a Singapore minister since the Sydney Morning Herald reported on Monday that Singapore and South Korea played key supporting roles in a “Five Eyes” intelligence network grouping the United States, Britain, Australia, Canada and New Zealand. Asked if the report would harm ties with Malaysia and Indonesia, Shanmugam, who is also the Law Minister, said it should not because “what we do is known to all of us”. The report, based on leaks provided by fugitive former US intelligence contractor Edward Snowden, said Singapore capitalised on its status as a telecommunications hub to serve as an important link in tapping undersea cables for the network. Singapore’s relations with its Southeast Asian neighbors Malaysia and Indonesia shouldn’t be damaged by recent spying allegations, Foreign Affairs Minister K. Shanmugam said. Malaysia summoned Singapore’s high commissioner earlier this week and said it was “extremely concerned” about claims of spying by the city state. Indonesia and Malaysia have been key targets for Australian and U.S. intelligence cooperation since the 1970s, facilitated in part by Singapore, the Sydney Morning Herald reported Nov. 25, citing documents leaked by former U.S. intelligence contractor Edward Snowden. Malaysia does not intend to retaliate against Singapore following claims that the island nation had a hand in helping the United States to spy on the country. “We could also think of ways to do the same, but we won’t and should not do this,” said Communications and Multimedia Minister Ahmad Shabery Cheek after officiating at the 11th Malaysia International Conference on Communications at a hotel here. He added that the government was still determining if there were indeed breaches in security and if there was proof, it would lodge a strong protest with the US. Fairfax Media, which owns the SMH, also published a controversial report in 2010 on U.S. cables released by WikiLeaks, part of which questioned Prime Minister Kevin Rudd's political performance. SERDANG, Malaysia - Malaysian is ready to share any relevant intelligence with Singapore and there is no need for the island state to spy on the country, Home Minister Datuk Seri Dr Ahmad Zahid Hamidi said Tuesday. "In principle, no other country should be trying to obtains the secrets of another nation," he said. Dr Ahmad Zahid was responding to foreign news reports that Singapore was helping the United States in its global spying activities. He said Malaysia had already sent a protest note earlier to the US. KUALA LUMPUR, Nov 26 — Singapore must submit proof and clear information if the allegation that it is involved in spying activities on Malaysia is not true. Deputy Prime Minister Tan Sri Muhyiddin Yassin said the government took a serious view on the allegation as Singapore was the closest neighbour and had close ties with Malaysia. SINGAPORE: Malaysia said it is investigating fresh media reports on spying activities against it. Media reports said that secret documents leaked by American whistleblower Edward Snowden had revealed Singapore had aided an intelligence group that allegedly spied on Malaysia. News agency Bernama cited an online news portal, which reported that secret documents leaked by American whistleblower Edward Snowden had revealed that Singapore had aided an intelligence group that allegedly spied on Malaysia. A statement by its foreign affairs ministry said the Malaysian government is extremely concerned about the reports. The ministry statement said it will call in Singapore's High Commissioner on Tuesday to seek clarification. Malaysian authorities said they have already taken action, with regards to earlier allegations of spying by the US and Australia. KUALA LUMPUR, Nov 26 — Singapore High Commissioner Ong Keng Yong will be called in today to clarify allegations that the island republic is aiding the United States in spying on Malaysia. Describing Singapore as a “good friend and neighbour”, Foreign Minister Datuk Seri Anifah Aman denounced the latest revelations by US intelligence whistleblower Edward Snowden implicating the island republic, saying that if they are proven to be true, it is a “serious matter that the government of Malaysia strongly rejects and abhors”. “It cannot be over-emphasised that spying against a good friend and neighbour is unacceptable and goes against the true spirit of and commitment to good neighbourly relations,” Anifah said in a statement sent late last night. Malaysia summoned Singapore’s high commissioner today to respond to allegations of spying which risk damaging improved political and business ties between the Southeast Asian neighbors. Indonesia and Malaysia have been key targets for Australian and U.S. intelligence cooperation since the 1970s, facilitated in part by Singapore, the Sydney Morning Herald reported yesterday, citing documents leaked by former U.S. intelligence contractor Edward Snowden. Malaysia’s foreign ministry said it was “extremely concerned” and had already acted against earlier claims of espionage by the U.S. and Australia. KUALA LUMPUR, Nov 25 — Neighbouring Singapore is a key partner of the “5-Eyes” intelligence group which was revealed to have tapped telephones and monitored communications networks in Kuala Lumpur, according to more top secret documents leaked by intelligence whistleblower Edward Snowden. In a report by Australian media group Fairfax Media today quoting Dutch daily NRC Handelsblad, it was revealed that Singapore is a key “third party” providing the ring — made of the United States, the United Kingdom, Canada, Australia, and New Zealand — access to Malaysia’s communications channel. Singapore was included in a map published by NRC, which showed the US’ stranglehold on trans-Pacific communications channels through interception facilities on the US’ West coast, Hawaii and Guam. SINGAPORE: Singapore's High Commissioner to Malaysia Ong Keng Yong on Tuesday met Othman Hashim, the secretary-general of Malaysia's Foreign Affairs Ministry, to clarify allegations that Singapore spied on Malaysia. Mr Ong was summoned by Malaysia's Ministry of Foreign Affairs after fresh media reports surfaced, alleging that Singapore had aided an intelligence group in spying on Malaysia. Speaking to Channel NewsAsia, Mr Ong said he was unable to comment on the allegations because he does not have any specific information. He said he has referred the media reports to the relevant agencies in Singapore. A view of the causeway bordering Malaysia's southern state of Johor Bahru and Singapore on Nov 26, 2013. The Singapore High Commission has denied knowledge of helping the US spy on Malaysia and said it has no interest in harming the friendship between the city-state and its neighbour. Singapore's High Commissioner Ong Keng Yong, who was summoned by Malaysia's Foreign Ministry on Tuesday, has explained to ministry officials that he does not have information about allegations in Australian media that the city-state had helped facilitate US-Australian surveillance in the region, which included spying on Malaysia. Singapore’s High Commissioner to Malaysia Ong Keng Yong met Othman Hashim, the secretary-general of Malaysia’s Foreign Affairs Ministry this morning (26 Nov), to clarify allegations that Singapore spied on Malaysia. Speaking to CNA, Mr Ong said he was unable to comment on the allegations because he does not have any specific information. He said he has referred the media reports to the relevant agencies in Singapore. After allegations that Singapore has been spying on Malaysia surfaced recently, Ong Keng Yong, Singapore’s high commissioner to Malaysia, said that the two countries have an excellent bilateral relationship and that Singapore has no intention to harm its neighbours or the relations we have with them. Mr Ong said that Singapore and Malaysia work closely together on many issues where we have common interests. He met with the Secretary-General of Malaysia’s ministry of foreign affairs, Othman Hashim, to clarify some allegations. Meanwhile, Mr Ong declined to comment on the issue to media saying that all the relevant public information is available in media reports made by the relevant agencies in Singapore. KUALA LUMPUR - Malaysia summoned the high commissioner from neighbouring Singapore on Tuesday over a media report that said the city-state helped facilitate US-Australian surveillance in the region. Foreign Minister Anifah Aman had already summoned the heads of the US and Australian missions earlier in November in protest over reports that a vast US-led surveillance network included a listening post in America's Malaysian embassy. Malaysia is "extremely concerned" about the Singapore report, foreign minister Anifah Aman said in a statement. "If those allegations are eventually proven, it is certainly a serious matter that the Government of Malaysia strongly rejects and abhors," he said. Kuala Lumpur (KL) summoned the High Commissioner of Singapore to Malaysia, Ong Keng Yong, today (26 Nov) to respond to allegations of spying activities by Singapore against Malaysia. Bloomberg reported earlier that Singapore’s High Commissioner had confirmed by phone that he had been called to meet Malaysian senior foreign ministry officials this morning. In a press statement released yesterday (25 Nov), KL said it is extremely concerned about reports of alleged spying by a number of countries on Malaysia. KUALA LUMPUR: Malaysia summoned the high commissioner from Singapore on Tuesday over a media report that said the city-state helped facilitate US-Australian surveillance in the region. Former Kuala Lumpur CID chief Datuk Mat Zain Ibrahim today revealed that money changed hands, which led to Malaysia losing its claim on Pulau Batu Puteh to Singapore in 2007. That revelation was made in Mat Zain's 31-page statutory declaration sent to the Prime Minister's Office on October 9. "In the accompanying letter to the Prime Minister, I urged him to focus on paragraph 54 (e),(f) and (g) of the SD , which revealed the wrongdoings of Attorney-General Tan Sri Abdul Gani Patail, who handled the Pulau Batu Puteh case. South Korea was also implicated and a meeting is to take place between the ambassadors of Singapore and South Korea as well as the foreign ministry of Indonesia. It is understood that the order had come down from Indonesian President Susilo Bambang Yudhoyono. President Yudhoyono had described both Singapore and South Korea as friends but also acknowledged that the meeting was simply to clarify concerns as there has not been any specific mention that the spying operations were targeted at Indonesia. It was cited that the foreign affairs ministry had already handled the situation to express Malaysia’s disapproval over the issues. JAKARTA - Hundreds of Indonesians protested at an Australian war memorial on Borneo island Wednesday, in the latest show of anger over allegations of spying that have sparked a diplomatic crisis. The continued public fury came despite an easing of tensions between the leaders of Australia and Indonesia, who have pledged to rebuild ties following the worst breakdown in relations for years. In Balikpapan on Borneo, some 500 demonstrators from the nationalist Red and White Front expressed outrage at the claims Australian spies targeted the phones of President Susilo Bambang Yudhoyono, his wife and ministers in 2009. Indonesia has lodged a protest against South Korea's alleged support of US interception of undersea telecommunications channels across Asia, Seoul's Foreign Ministry confirmed Wednesday. Jakarta's Vice Foreign Minister Wardana called in Seoul's ambassador Kim Young-sun on Tuesday at the instruction of President Susilo Bambang Yudhoyono. That was apparently to verify news reports that South Korea and Singapore are key "third parties" helping what is called the "Five Eyes" partners ― the US, the UK, Canada, Australia and New Zealand ― tap high-speed fiber optic cables at 20 locations worldwide. The reports cited a secret US National Security Agency map leaked by former US intelligence contractor Edward Snowden. Indonesian President Susilo Bambang Yudhoyono was upset when it was revealed that Australia had listened in on his telephone calls. He ordered military and people-smuggling cooperation with Australia to be frozen and down-graded relations with Australia. Both Mr Yudhoyono and Minister for Foreign Affairs Marty Natalegawa have explicitly denied that Indonesia taps the telephone calls of its "friends", describing such behaviour as illegal and immoral. Fugitive US intelligence analyst Edward Snowden has been causing consternation for many countries with his revelations of spying by the U.S government. This time is Singapore’s turn. Reports published in the Australian newspaper, Sydney Morning Herald, said that Singapore and South Korea had played key roles in the "Five Eyes" intelligence network involving the United States, United Kingdom, Australia, Canada and New Zealand. Singapore was especially singled out as it is a major telecommunications hub, so we are a very important link in the surveillance network. Naturally, our neighbors are pissed at us for spying on them with Singapore's High Commissioner to Malaysia, Ong Keng Yong, been summoned to the Malaysian Foreign Ministry. Which certain issue is the recent allegations that Singapore is assisting the "Five Eyes" nations to spy on our fellow neighbours. Also Indonesia is also seeking a "Lim teh" session as well. Recently Australia also have been on the blunt end of scrutiny for being accused of helping the US to spy on Indonesia. Such allegations are very serious and it breaches the trust between neighbours and relationships. Hopefully everybody including the US will behave. Probably they have not learnt of the Singapore Army's 8th Core Value: You can do anything but don't get caught. Recent media reports about Singapore's alleged assistance to the Five Eyes group of nations have created a stir in the region, with Singapore's diplomats summoned by Malaysia and Indonesia. The reports also highlight the specific involvement of the Security and Intelligence Division (SID). Many Singaporeans are aware of the Internal Security Department (ISD), due to the Internal Security Act, it's questionable activities against political opponents and the infamous escape of Mas Selamat from its detention centre. The SID, on the other hand, has been virtually unknown by almost all Singaporeans. Even older than the ISD, it has existed since 1966, and is Singapore's external intelligence agency. In other words, it spies on other countries. 'Tu dung' or Not 'tu dung'?